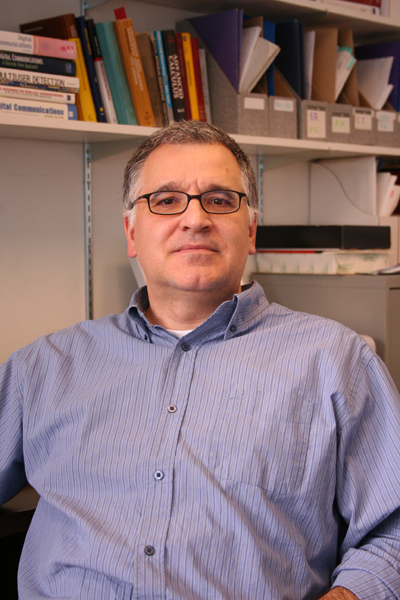 I am a Professor within the Department of Electrical Computer Engineering at McGill University. My research interests focus on the development and evaluation of new algorithms for the digital processing of information bearing signals, including: data communications, speech/audio,and radar/sonar signals. Known as Statistical Signal Processing, this field of study aims to devise and analyze the performance of computational procedures that can be used in various electronic or software systems to draw inference from imperfect or incomplete measurements. It makes intensive use of modern techniques from signal processing, applied probability and statistics, mathematical optimization, etc. In my work, special emphasis is given to the study of efficient processing structures and algorithms for filtering, parameter estimation/tracking and detection of signals corrupted by noise and interference (echo, multi-path fading, reverberation, etc.). One of the driving goals of my research is to optimize the statistical performance of the new algorithms, while reducing their computational complexity so that they are amenable to real-time implementation. 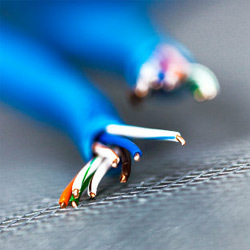 Targeted application areas in electrical and computer engineering include multi-media communications, mobile wireless communications and broadband wireline communications. Multi-antenna processing: adaptive/robust beamforming, source localization algorithms, subspace tracking, channel modeling and simulations, MIMO and relay systems, physical layer security aspects. Signal detection and estimation: channel estimation and equalization, optimal receiver structures, spatial/spectral frequency analysis, time delay estimation, spectrum sensing for cognitive radio. Speech & audio processing: acoustic echo cancellation, microphone arrays, talker location, speech enhancement, audio classification, voice activity detection. Adaptive signal processing: efficient filter structures and algorithms, subband and transform domain adaptation, blind source separation, collaborative and distributed processing, distributed adaptive filtering. DSP fundamentals: filter design, digital filter banks, multi-rate systems, quantization effects, real-time DSP implementations.